With 17 years of business behind us, we know more than just a thing or two about what customers expect and deserve from any company. 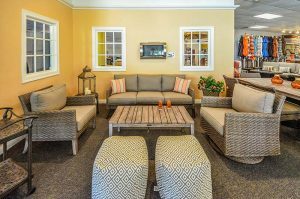 Our outdoor furniture store not only understands the expectation for exemplary care, we place it as our highest priority – with every single service we offer and maintain. Backing each spa, pool, fireplace or furniture piece we sell with unparalleled repair and maintenance services, we are Maple Shade’s all-encompassing home and pool center. Staffed with the most experienced and knowledgeable professionals in the pool and spa industry, Spa, Hearth and Home is the premier source for your outdoor entertainment needs. Choosing only the outside furniture that stands up to our stringent standards for excellence, we strive to ensure that each product exceeds your expectations, adding beauty, value, and enjoyment to your home, without compromising quality. 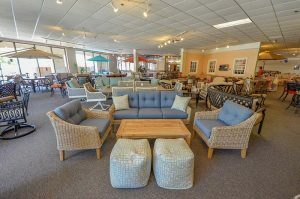 As a family-owned and operated business, we invite you to visit our convenient, well-stocked and extensive showroom, where you’ll delight in the hunt for the perfect home spa, patio furniture or outdoor kitchen gear. Never compromising quality to make an extra buck, we strive to ensure that you’ll always be able to trust in the quality of each of our products. Backing your purchase with our very own no-hassle service warranty, we deliver peace of mind by going above and beyond and servicing your needed repair or by performing the maintenance ourselves. This eliminates the hassle and inconvenience of contacting the manufacturer. Without fail, each of our team members ALWAYS keeps the customer as their entire focus, making doubly sure that every need and desire is handled with the highest professionalism and unbeatable service. Discover the confidence that buying your backyard furniture or outdoor spa from true experts can make and build your own paradise with Spa, Hearth and Home today.